The holidays are supposed to bring nothing but joy and laughter, but there are times when they bring so much more. The unpleasant surprise of pests during the holidays is one that we know all too well. If you’re looking to keep the number of pests in and around your Sacramento home at a minimum this year, check out today’s blog to learn about a few of the critters that are known for crashing holiday parties. As if there was a time of the year where rodents stayed away from the home! The holiday season is often a time where we see the number of rodent infestations peak. Given that temperatures do start to drop and the amount of food being stored and garbage being thrown out increases as well, it’s not too difficult to get an idea of why rodent infestations are at a high. Since mice are looking for warmth and food during the winter seasons, it’s extremely common to find infestations in homes and commercial buildings alike. Since temperatures drop just the slightest bit in the Sacramento and surrounding areas, we see that they are immediately drawn towards buildings where they can find warmth in undisturbed areas. It’s gravy on top (literally) when they find that there are scraps of food as well. Given that we humans do consume drastically more food during the holiday season, you’ll want to keep an eye out on the food that you’re throwing out and if anything is getting into it. You will also want to look for any openings that could prove to be an easy entrance point for rodents in the area. By staying attentive to the things that appeal to rodents during these seasons, you should be able to minimize the chances of a rodent infestation during the holidays. Similar to rodents, roaches are looking for two things: warmth and food. The colder months that we experience in Sacramento, Elks Grove, Folsom, Roseville, and Woodland area are sure to draw in some of the pests that we all hate to see — roaches. Regardless of what drew them to your house in the first place, this is a pest that all of us can do without. Roaches are often considered to be one of the worst pests that people could find in their home, and it’s not for poor reasoning. These pests can cause asthma attacks, get into food, and leave your guests disgusted and frightened. As if those points weren’t enough of a reason to hate roaches, they’re also extremely difficult to get rid of. For that reason, we always suggest calling a professional pest control company as soon as you notice a problem in your home. Roach infestations spread quickly, and you don’t want yours to get out of hand before the holidays. Every winter you can expect one pest to for sure make their way toward your home, and that is the common household spider. Here in Sacramento, we get quite a few spiders on a regular basis as is, but when the temperatures drop you will see the numbers heighten. While they’re usually a better pest to find in your house than say a mouse or a roach, they’re not exactly desirable. Spiders love to make homes in parts of your house that go undisturbed, are dark, and at times are a little bit damp. Some of the most common places that you can find a spider in your home when temperatures drop will be any attics, basements, closets, cupboards, garages, and the like. The best thing that you can do to avoid these pests coming into your home is to check these types of spaces frequently and to get a handle on any infestation that you do make a note of. The Sacramento area is known for housing some of the more dangerous spiders in the country, making infestations all the more serious. If you notice that there is a dangerous spider such as a Black Widow in your home, reach out to your local pest control company so that you can ensure your home is safe from dangerous pests. A pest that is well known for being attracted to food is the ant. This small pest is one that can leave a pretty big impression, especially during the holiday season. With as much food as we have during the holidays, these pests find everything that they need to thrive right inside your home. Sacramento rain is at a high during the fall and winter season, which you think would make it all the more difficult for this pest to thrive. The reality is, however, that these pests have been able to survive for years and the way that they do that is by making a new home in a dry, warm area that continues to provide them with food. Sound familiar? That’s because it’s your home. As soon as one ant finds food, they let the rest of their colony know that they’ve found a place to migrate too, and that’s how you wind up with an infestation. Keeping your food safe from pests like ants is one of the best things that you can do to keep infestations out of your home this holiday season. 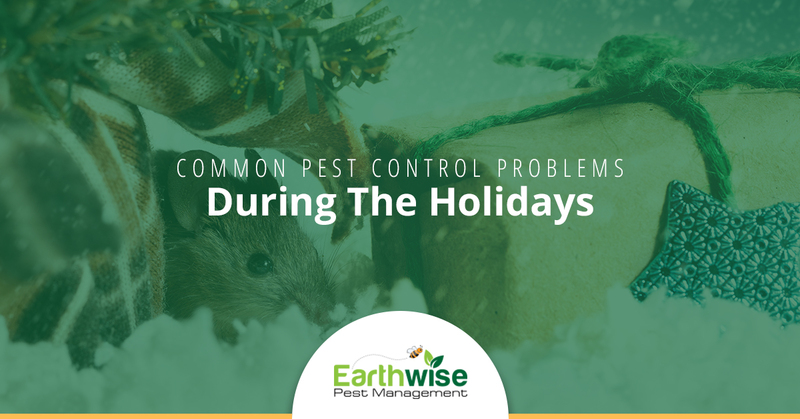 If you find yourself dealing with an infestation during the holidays, reach out to the team of professionals at Earthwise Pest Management. Our team can provide you with all of the guidance and assistance that you need to keep your home free of pests. Contact us today to inquire more about our services or to schedule the services that you’re in need of.